Thanks for signing up to participate for blogger opportunities! We do our best to bring in opportunities for our members to work with brands, but we want to protect our bloggers too. 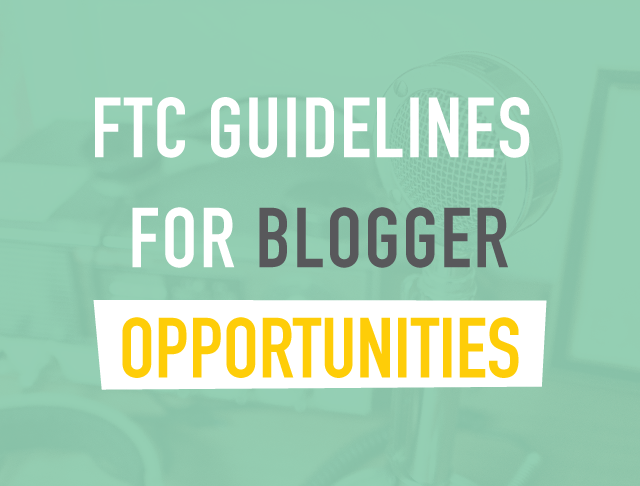 When receiving free meals or product from sponsors, make sure you follow FTC guidelines to protect your blog. Disclose or mention that you received a meal or free item in your blog post. Mention it within the body of the blog post or at the end. If your blog feed shows a snippet with “Click to read more,” the FTC wants the disclosure within the snippet. Be transparent in your social posts as well. You can either mention it in the text (like the examples above) OR use the #sponsored hashtag. You don’t need to do both, but you must do one. We suggest tagging the brand hashtag as well, so they might share it. For more information, check out the FTC’s Endorsement Guides. We look forward to seeing your posts!